Priyanka Gandhi Vadra, once seen as a potential bright star of Indian politics, was certainly the most charismatic election campaigner among all Indian politicians – young or old – on view in the late 90s. She was in her 20s but her electioneering caught national attention. They talked about her in the villages and in the towns. On the stump, Priyanka – affable and spontaneous – was a natural. She was capable of repartee but didn’t make long-winded speeches or snide remarks. She strongly resembled her grandmother Indira, and that did it for most people. There was another thing. Unlike others of the clan – Jawaharlal Nehru downwards – Priyanka speaks mellifluous Hindi, straight out of her native Allahabad, as though she had been born there and never left that eastern UP city. A few years ago, when a gobsmacked television interviewer asked Priyanka Gandhi where her beautiful Hindi diction and vocabulary came from, she said with ease: “From Mrs. Teji Bachchan, from whom I learnt”, referring to the cine superstar Amitabh Bachchan’s late mother. That the Gandhis and the Bachchans, once very good friends, had an inexplicable falling out didn’t matter to Priyanka. Even when everything seemed right, Priyanka suddenly disappeared from public view after briefly campaigning in the 2014 Lok Sabha poll. She has hardly been seen in public in the last five years. Theories about her absence abounded. That she was busy raising her kids was, of course, a no-brainer explanation. Two other political ‘explanations’ in circulation related to darker things. The more prominent of these was sibling rivalry. If Rahul Gandhi, who lacked natural charisma, had to step into his mother Sonia’s shoes, it might be best that Priyanka tucked herself away. It was implied that Rahul would suffer by comparison. Given that Rahul has since earned his spurs, that theory appears to have run out of steam. The other political ‘explanation’ was damaging to Priyanka personally. It was said that, by association, she was tainted by her businessman husband Robert Vadra, who appears to be in all sorts of troubles with the authorities on account of his business transactions. Vadra has dismissed all this as political vendetta by the BJP. But many even in the top tiers of the Congress accepted the stories, and believed that with her husband’s reputation dogging her, Priyanka would not return to politics. The Wednesday decision of Congress president Rahul Gandhi to pitchfork his sister to the forefront of the Lok Sabha poll battle caught everyone by surprise, most of all Congress’s Gandhi loyalists. Being made the party’s general secretary for eastern UP, which takes in Prime Minister Narendra Modi’s constituency of Varanasi, is akin to entering the lion’s den. In effect, Priyanka Gandhi is going to be leading the Congress’ shock troops. It is unlikely she is doing this against her will. Suddenly the theories about her five-year absence from politics – from sibling rivalry to Vadra’s business deals – don’t hold up. By now her brother has made a mark, and Priyanka now has a chance to make hers. Indeed, if reverse psychology is anything, the argument can be made that Priyanka wouldn’t have dared take this step if her husband’s business deals were irregular. She knows the law of the land in UP, and has been a participant in decision-making processes in the Congress at key junctures. It was she who finally swung the Congress-Samajwadi Party alliance for the UP assembly election in early 2017 by personally prevailing on Akhilesh Yadav to part with 100 seats. In hindsight, the alliance was a conceptual disaster. The upper caste voters deserted the Congress the minute it allied with the SP. When Rahul Gandhi was made vice-president of the Congress and Sonia Gandhi was away for treatment in the US, Priyanka became her brother’s advisor and political confidante, sitting in on strategy sessions with him, presumably at his request, dealing with state leaders, especially those from UP. Now that she will be a Congress general secretary for the more tricky part of UP for the party in the run-up to the Lok Sabha election, Priyanka will have to re-do her electoral and political math in light of the humiliating defeat suffered (by the Congress and the SP) at the hands of the BJP in the last state poll. So, it is a high-risk game that she is embarking on, a kamikaze mission almost. 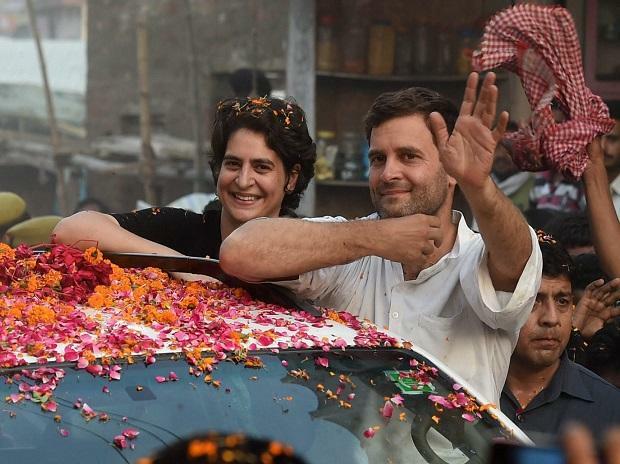 If Congress performs creditably, Priyanka may be in politics for the long haul. If the results go the other way, she will probably have to withdraw in ignominy. For dynasts, the room for error is limited. Priyanka has already been cut some slack and offered her present post after the last UP assembly poll drubbing. Rahul envisages for his sister, and for Jyotiraditya Scindia, given the position of general secretary for western UP, a significant role that goes much beyond state supervision in the Lok Sabha poll. Priyanka and Jyotiraditya have been entrusted with the responsibility of reviving the Congress in this crucial state. On Priyanka rests the burden of expectations. If she succeeds, she will be catapulted to the top of the decision-making hierarchy alongside her brother. This could catalyse changes in the Congress organisation. Success could also push Jyotiraditya to the top. In the past, Priyanka has shown she has traction with the people. In 1999, some may recall, Arun Nehru, a cousin of Priyanka’s father the late Prime Minister Rajiv Gandhi, was contesting the Lok Sabha election from Rae Bareli, which was once Indira Gandhi’s parliamentary seat, on the BJP ticket, after parting with the Congress on a bitter note. Priyanka addressed just one meeting there. She said to the crowds, “Don’t you know this man stabbed my father in the back? I am surprised you are even entertaining him here!” And that was the end of the late Arun Nehru’s parliamentary career. Initially, he had appeared to be coasting along smoothly, but Priyanka’s quick-fire intervention sent him crashing. If Priyanka manages to revive the Congress magic of the past, it would spell trouble for the BJP. The Yogi-Modi combination has made a mess of things in UP and dissatisfaction is said to be high. This gives Priyanka a toe hold. Failure to leverage the dissatisfaction would mean exile for the Congress. Dynastic placements are hardly something to pray for in a democracy. But when dynasts of their own volition lead the front against attempts to impose a religion-based majoritarian order, the enterprise they are engaged in has the effect of transforming their politics. In the end, it is the values they champion that matter.